Attendees of a Wellesley College election watch party reacted to the results. Two Boston-area incidents allegedly involving harassment and offensive language by supporters of President-elect Donald J. Trump after his Tuesday win are under investigation. Officials at the two colleges, both in Wellesley, did not specify what the men said or did when they entered the all-women campus. The apology comes after two students allegedly drove through Wellesley’s campus in a pickup truck waving a Trump flag and yelling. USPS officials are investigating the incident, according to an agency spokesman. At Babson, Lawrence P. Ward, vice president of student affairs, said in a letter to students that the two men drove by Wellesley’s Harambee House, which serves as the focal point for African-American students. “It is important to understand that our students’ behavior was experienced by many students of color and perceived by many others . . . as racially offensive and gender demeaning,’’ Ward wrote. 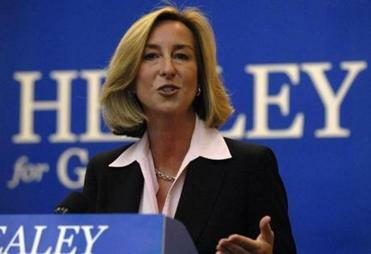 In a separate statement, Babson president Kerry Healey, a former lieutenant governor, said the college received 40 “bias incident reports” related to the matter by Thursday, as well as phone calls and e-mails from concerned members of both college communities. Healey said reports indicate the two men “antagonized” students, and investigators will determine if any laws or standards were violated. Babson officials did not identify the two students. Their names appeared in Internet postings, but the Globe is not naming them because they have not been criminally charged or identified or penalized by Babson administrators. One of the Babson students declined to comment in a brief telephone interview Thursday; the other could not be reached. A video that surfaced online purportedly showed the two men laughing about the case. Social media reports indicated the men had spit in the direction of Wellesley students and shouted bigoted remarks. Witnesses who contacted the Globe via e-mail Thursday could not immediately be reached for further comment. Wellesley campus police Chief Lisa Barbin said in an e-mail Thursday to the college community that her department is working with town police and Babson officials in the investigation. “This community’s well-being — and all that word encompasses — is foremost on my mind right now,” she wrote. Attorney General Maura Healey’s office, which investigates civil rights violations, said it is aware of the incident and gathering more information, but prosecutors have not received a formal complaint or launched an investigation. 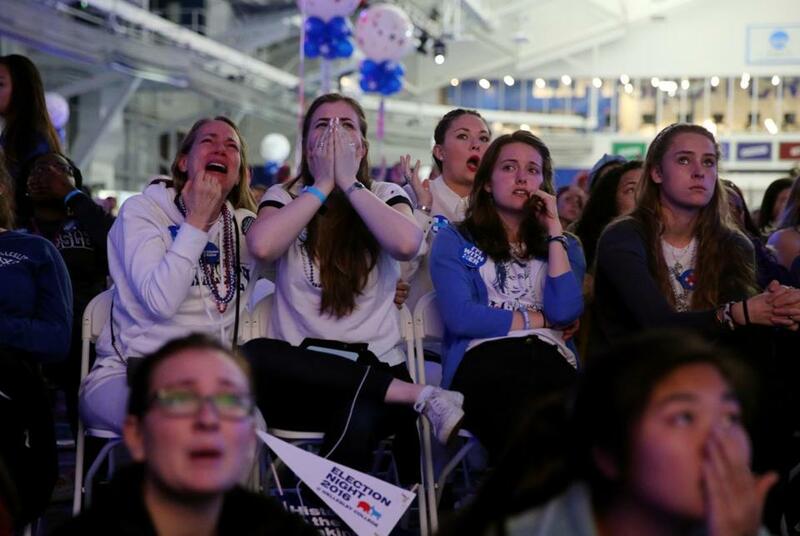 The campus incident came one day after Wellesley College hosted an election party, where students watched anxiously as Trump, a Republican, defeated Democrat Hillary Clinton, a Wellesley graduate. Katz, the man who reported the Cambridge incident, shared on Twitter a photo of the complaint he filed with the Postal Service. “It’s incredibly alarming,” he said in the phone interview. “Just one day after the election, and you see this kind of stuff. Steve Doherty, a Postal Service spokesman, said that the agency received a copy of Katz’s tweet on Thursday, and that the incident is being investigated. “The Postal Service does not tolerate or condone behavior of the type described in this tweet,” he said in a statement. Travis Andersen can be reached at travis.andersen@globe.com. John R. Ellement can be reached at ellement@ globe.com. Steve Annear can be reached at steve.annear@globe.com.